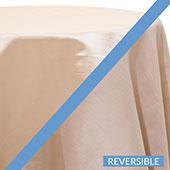 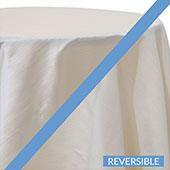 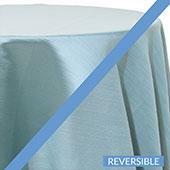 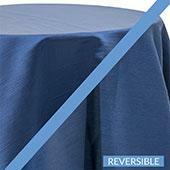 Event Decor Direct offers a variety of 6 ft. curtains for your home, office, wedding, party or event. 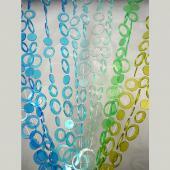 Find 6 ft. curtains for any theme or decor you have in mind. 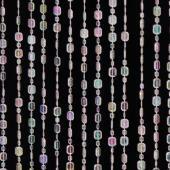 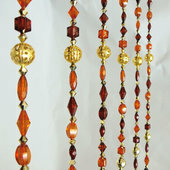 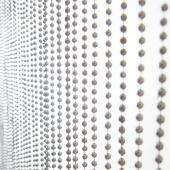 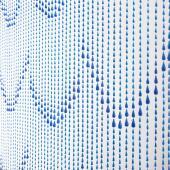 The 6 ft. Hip CircleBeaded curtains are 3 ft. wide and will give your space a modern look. 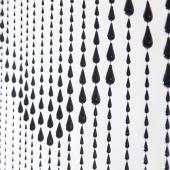 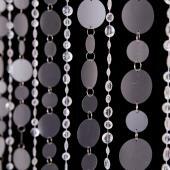 These curtains come in silver, black, and metallic silver. 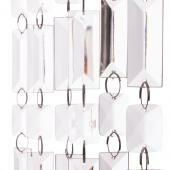 Achieve a casual look with these 6ft. 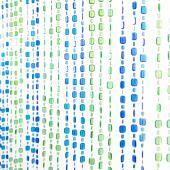 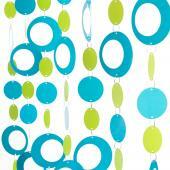 curtains in blue-green or a retro look with shades of green. 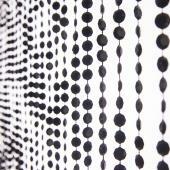 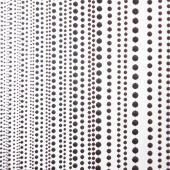 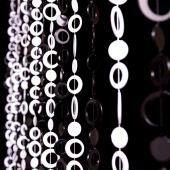 Black and White Hip Circles gives a groovy, trendy look. 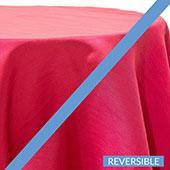 Pink Hip Circle 6 ft. curtains are psychedelic and hipped. 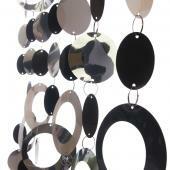 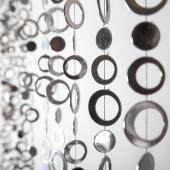 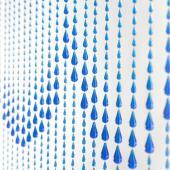 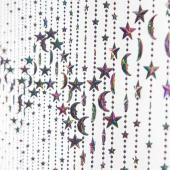 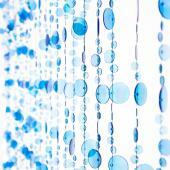 Event Decor Direct also has 6 ft. Acrylic Hanging Ball curtain panels which are 1 inch in diameter. 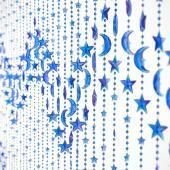 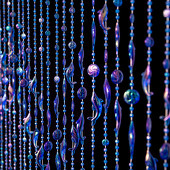 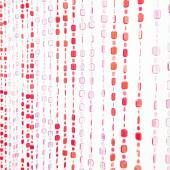 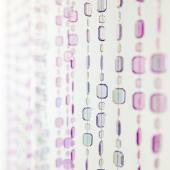 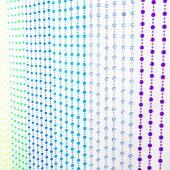 These curtains looks great if you use our 64 LED color-changing lights for an amazing effect. 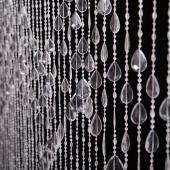 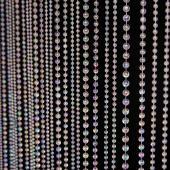 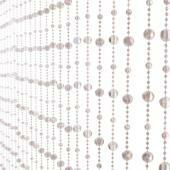 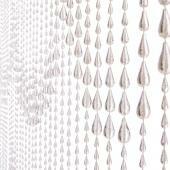 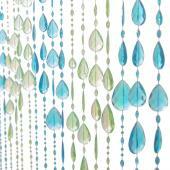 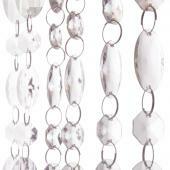 The Acrylic Crystal Oval Beaded curtain will cast a twinkling and brilliant light. 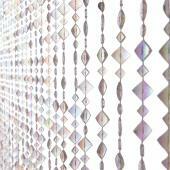 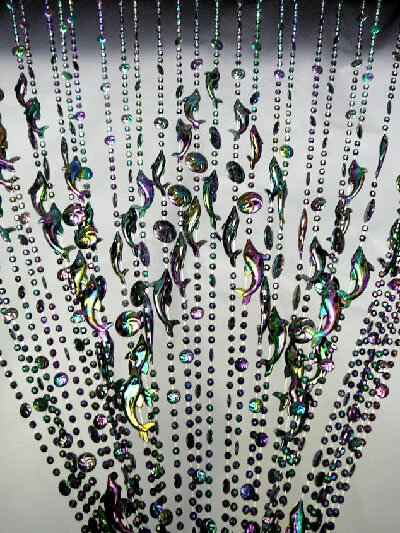 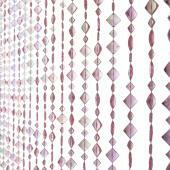 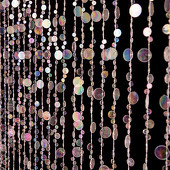 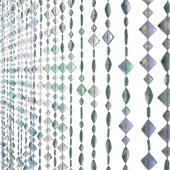 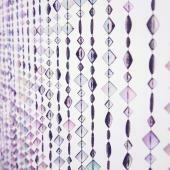 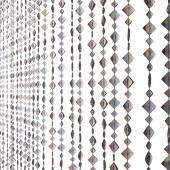 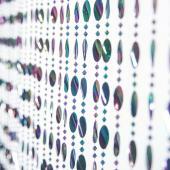 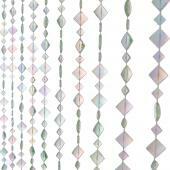 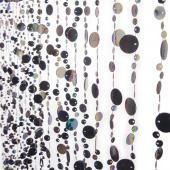 Maybe the Disco Ball Beaded curtain in iridescent crystal is the effect you want. 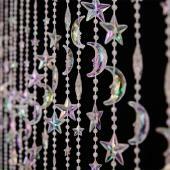 This curtain also comes in silver. 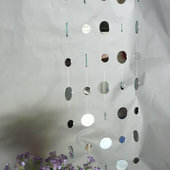 You can also find Feng Shui round mirrored curtains. 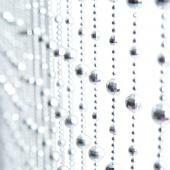 These 1ft. 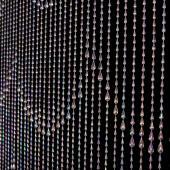 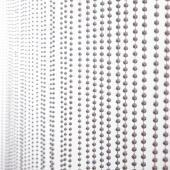 wide by 6 ft. long curtains has 110 real mirrors on each curtain. 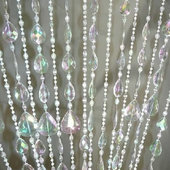 Another selection of 6 ft. curtains is the Pearl and Silver Ribbon curtains made with faux pearls and silver ribbons. 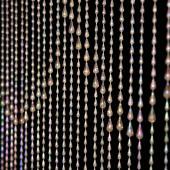 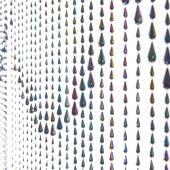 There are also 6 ft. curtains made of pearlescent shell rings called the Cut-Out Mother of Pearl Shell curtains. 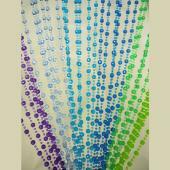 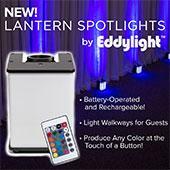 With a variety of colors and styles, you are sure to make just the right choice for your next event. 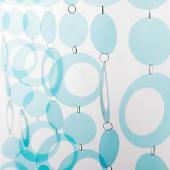 All 6 ft. curtains are mounted on a plastic rod with hanging hoops and can be hung in a variety of ways. 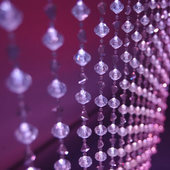 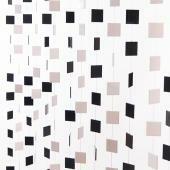 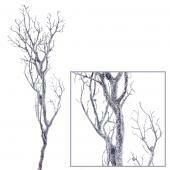 Visit Event Decor Direct to find the right decor for you. 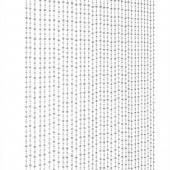 Customers who are interested in 6ft. 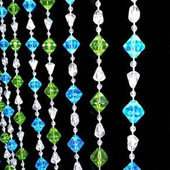 Curtains also purchase 7 ft. - 20 ft. Curtains, Black Curtains, Color Curtains, Crystal Curtains and Metallic and Silver Curtains.